If you're a Landscape Architect, you know what your job entails. You make the land look its best in areas such as parks, college campuses, gated communities, and shopping malls. This means conceptualizing the overall style and layout of these areas and handing over the technical drawings so that construction workers and other manual laborers can build the land according to your vision. Odds are, you work for an architectural firm, engineering firm, construction company, or own your own landscaping business. And you likely work a dynamic schedule that requires at least 40 hours of your time every week. The question is, now that you're looking for a position, can you find a resume writer who understands your occupation? A writer who talks the language of landscape planning and aesthetic and functional design? A writer who can craft a Landscape Architect resume that puts your best foot forward and scores the interview in a highly competitive marketplace? Former recruiter David Alan Carter recommends the following resume services for Landscape Architects... each with a Better Business Bureau score of "A" or better. Considering a Career Move into Landscape Architecture? If you're considering a move into landscape architecture from either a closely related field or from a totally unrelated profession, you'll be looking for a transitional resume -- and a talented writer to handle the assignment. Transitional resumes are some of the most difficult resume projects as they require a writer knowledgeable in at least two professions -- and the ability to identify transferable skills from one to the other. 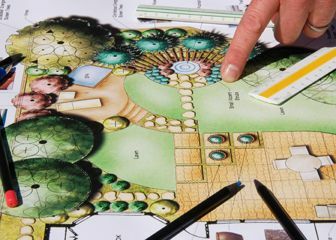 What You'll Do: Landscape architects must first meet with their clients to gain an understanding of what it is that they want to be accomplished. Then, they must converse with construction personnel and engineers to determine if the design is realistic and probable. If they get the thumbs up, work on the landscape blueprints begin. Many of the technicalities of the project also have to be determined including budgeting, deadlines, environmental regulations, and other details. As soon as the blueprints are completed and approved, the landscaping begins. Throughout the project, architects might be called in on occasion to help with supervision and to check on the progress. In our society, everything from a school playgrounds to entire cities are planned out by landscaping architects. If you want to literally shape our world, this is the ideal job for you. Education and Training: Your typical course of study is a four-year program leading to a bachelor's degree in landscape architecture. Master's degrees in the same field of study will provide you with better prospects for landing a job. Most landscaping programs include a practical experience portion that gives students the chance to design a plot of land for a real client while under supervision. Completing an internship on top of the real-world portion is highly recommended. For all architects other than those who are federal employees, passing the L.A.R.E. is necessary for licensure and the ability to practice the profession. The Future: The landscape architecture profession is expected to grow at about 16% through 2020, meaning the addition of approximately 3,500 new jobs nationwide (U.S.). The Pay: The U.S. Bureau of Labor Statistics reports a median annual wage of $62,000 for 2010, with the top 10% pulling down more than $103,000 per year. Still interested in pursuing a position in Landscape Architecture? Great. The next step is to prepare for a consultative telephone interview with your resume writer. Treat the coming job search like the business it is, and you'll do fine.